English immigrants love Brightwater, could be said “they feel at home?” And why also the suburb has the highest concentration of recent UK immigrants out of any in NZ. almost an apt name for the company who sponsor this Tahunanui Drive sign too. ….is Monaco, here basking in the morning sun. here in Nelson New Zealand. ….estuary in the South Island of New Zealand. The Waimea Inlet is the largest enclosed estuary in the South Island. It is 3,455 ha in area, with an internal coastline of 65 km. Episodes of heavy sedimentation occurred in the 1960s and 70s affecting some of the more enclosed parts of the estuary. And that is how the local council TDC (Tasman District Council) report it so. Amazing enough, this section in front is really for sale…. 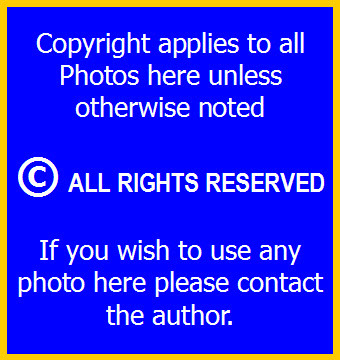 Ooophs – no it would see the blog site here has an issue with an 11210 x 2244 image. If you’re interested email me and I’ll send it too you. … its not a bad perspective – picture taken when I was driving to a past appointment. ….well at least its World Famous in Nelson. Seen from the hilltops above Stoke, and looking in a north westerly direction out into Tasman Bay. why you wouldn’t want this type of view from your new home? …it would seem that Nelson in little ole…. …..south of New Zealand is where these –ex Japan Fire Engines come to retire? for Nelsonian residents this time of year. …mainly on account of the fact that there are at least 3 x 100+m trawlers in port. ….brought a new compact camera this past weekend…one of those “holiday snaps” type of things, shockproof, 3m underwater proof, etc…. according to the shop salesperson. Weirdly enough someone else must have been playing with it…because upon a “review” tonight I saw this. …but I am not complaining….actually it looks pretty cool I reckon, What you see represented before you “yonder” is a representation of Nelsons “back to the future” site…Founders Park. And this one appears to be Nelson towards the city….taken from a south-westerly perspective, the photog must have been somewhere up in the hills of Atawhai when he/she took this snap. …..that thing called the Nelson Haven…..is in reality….its really a heaven…..a safe haven. …..I can tell you this because those 3 Russian/Ukrainian trawlers you can see top right in the background…..they are in fact not sitting on the seabed, they are parked up au Port Nelson. As they have for many years. I don’t know if it is them or others before them, but 30~31 odd years ago when I worked down there at the Port, for what was then the NZ Apple & Pear Board…one of the most treasured items we looked forward to bargaining for, was, soon as those “ships docked” was those Russian “fur hats” and “boots.” Jackets / overcoats – yep that was a dream..on my wages then, I couldn’t afford them…but those that could…I' am sure that those overcoats would have kept a Polar Bear warm! …..are looking at in these above two photos I took today. Reputedly the oldest continuously inhabited home in the whole of the South Island of New Zealand. And not just that, what you are looking at here above is the oldest known “barn” in the whole of NZs South Island too! There will be more to come….I was just stunned to find the amount of history at this location, and yes, you can buy it as its back on the market. Now thats what they call “history”…..and on account of the fact that we are such a young country……any remnants termed so, ……well they should definitely be, at least to my way of thinking…… very dearly appreciated. May 1st brings with it the first signs of the cooler months coming.